There are 5 projects slated this month's launch. 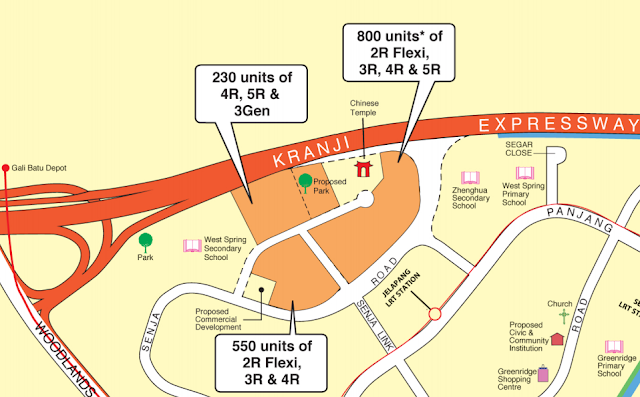 Right beside the KJE, 1660 units of 2R Flexi right up to 3Gen flat types in 3 different developments are up for sale. For those that drive, being near the KJE may be a good thing as it cuts travelling time with a new road link to KJE heading towards Tuas in 2017 from Senja Road. LTA may even built an interchange in the future. For now, to get to the BKE, you can join the KJE and make a U-turn at the Woodlands Road exit. Even if you do not drive, travelling by a cab may cost less too. The developments will be flanked by a school, a proposed commercial development, a proposed park, a Chinese temple and of course an existing HDB flats. The nearest train station is Jelapang LRT station which is about 200 - 400 meters depending on which development you choose. 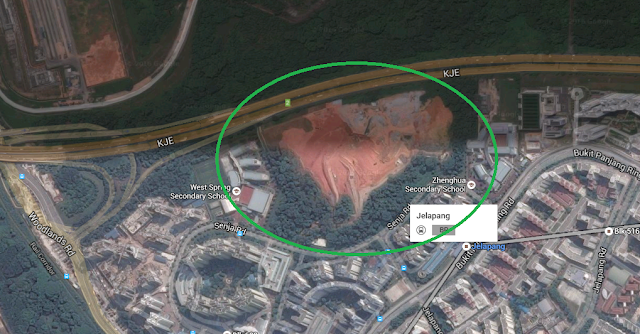 The nearest MRT station would be Bukit Panjang which two LRT station away from Jelapang. Walking is not really an option. Pretty sure there will be a new bus service or a reroute of existing bus services to cover the development. As with the last few BTOs for Sembawang, this development will be at the same Canberra site where all the developments are new. Flanked by Sembawang Road, future Yishun Ave 8, future Canberra Street and a park currently under construction, the development offers 1220 units of 2R Flexi up to 5R with a plot ratio of 2.8, which is higher than some of the other developments in the area. If you look the marked area, the excluded part is currently a power grid station. 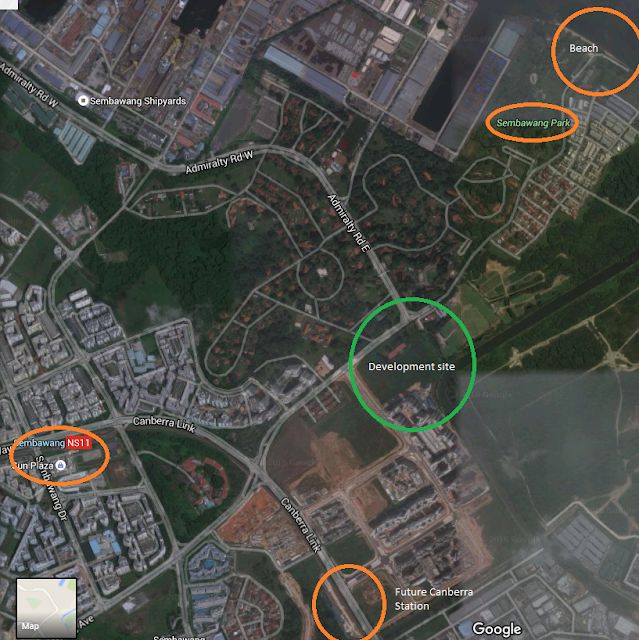 This development will be near Sembawang end where there's a huge park (800 m away) as well as the beach (1.3 km away). It is about 3 bus stops away. 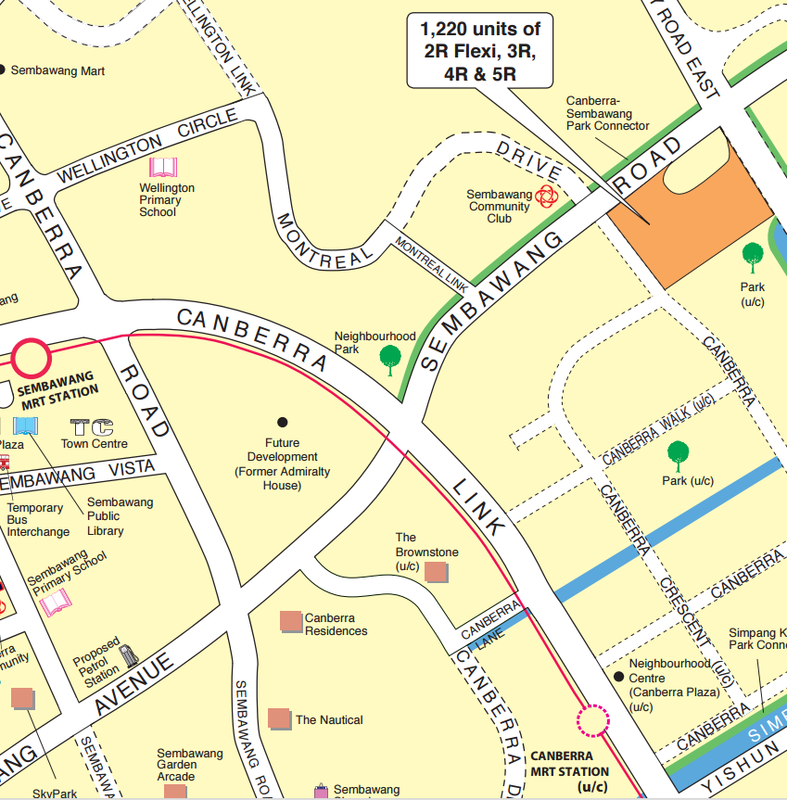 Nearest commercial developments currently are Sun Plaza, Sembawang Mart, Sembawang Shopping Center and a new central right in front of the Canberra MRT station. According to URA map there will be a school adjacent to it and on the other side is Simpang, which is a forested area. If you choose a unit east of north east, then you will practically have unblocked views, until URA decides to development Simpang area.